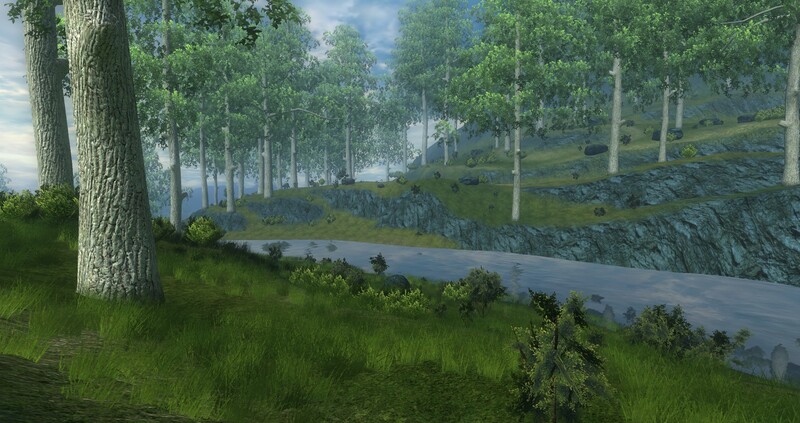 The King’s Forest Wilderness and Adventure area is right outside the village of Eveningstar, your arrival point after traveling through the rift in the planes between Eberron and The Forgotten Realms. 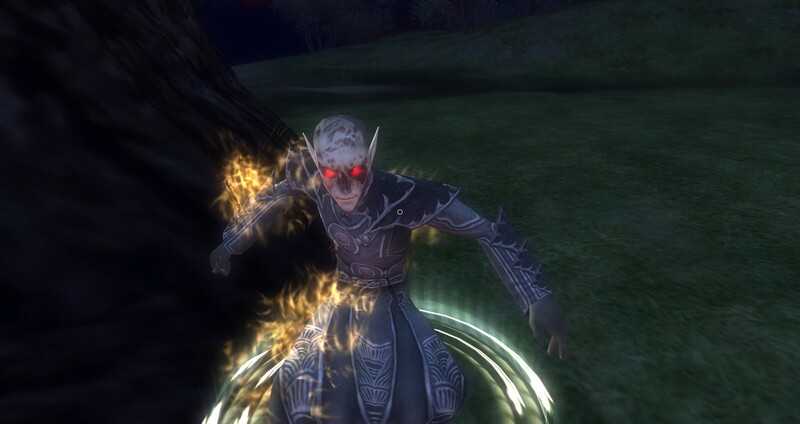 The Kings Forest is full of strange activity and seems to be the source of the sudden Drow attack. There are many villagers and Purple Dragon Knights to help along with other mysteries to solve deep in The King’s Forest. 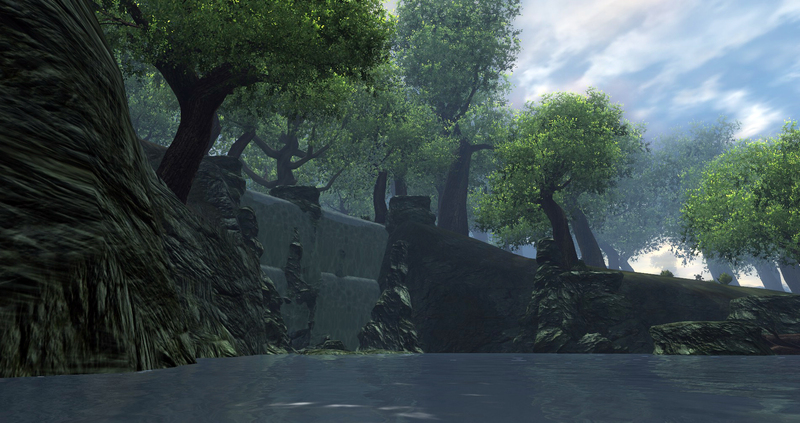 Travel outside the safety of Eveningstar to explore this new massive epic level wilderness area for Dungeons and Dragons Online. 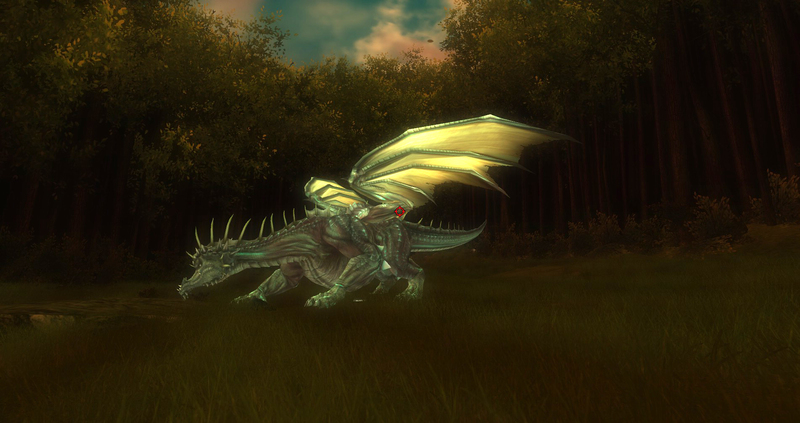 The King’s Forest is a great place to wander around and explore. 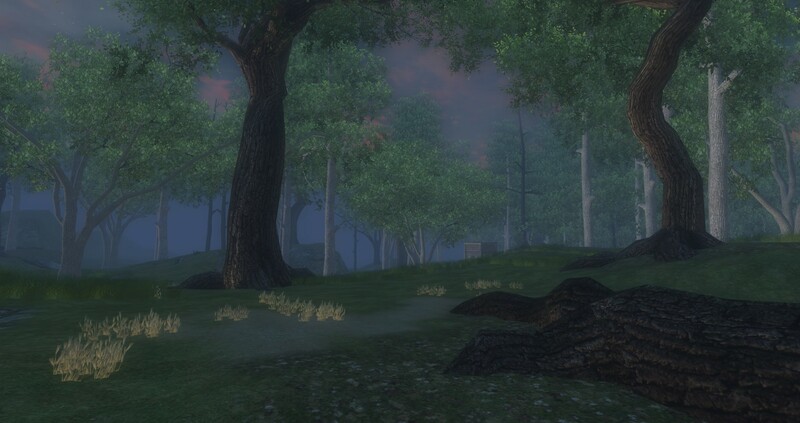 You will also need to find your way through this vast and expansive forest to some of the other quests you will need to complete in order to ultimately uncover the plot that is driving the Drows’ actions in the King’s Forest so you can stop them. 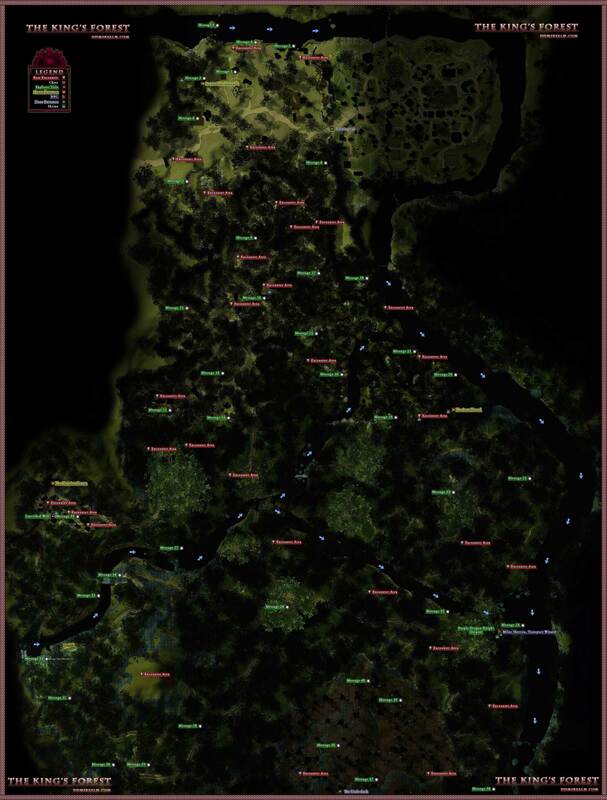 Click the thumbnail for full size map of The Kings Forest. Special Note: This place is huge. Bring a lunch. 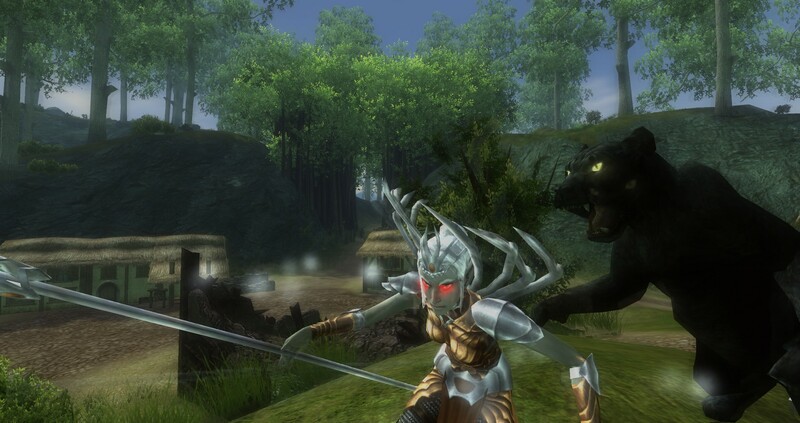 Dungeons and Dragons Online definitely has stepped up and provided a truly epic wilderness adventure area for the game expansion Menace of the Underdark. 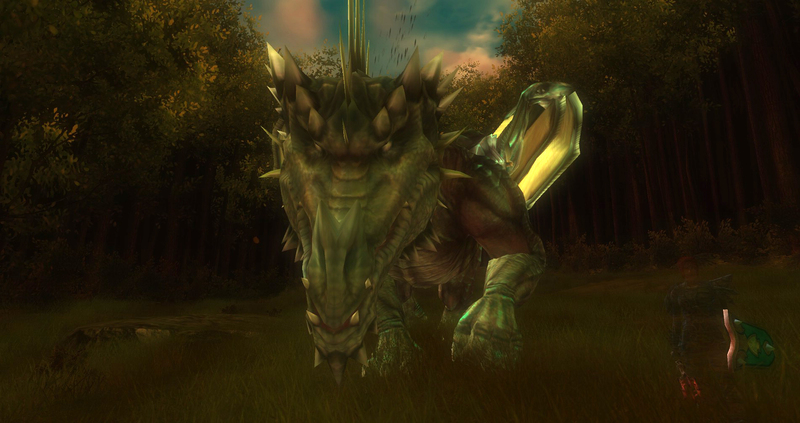 I usually do not write guides for wilderness adventure areas but this one is so huge, dangerous, and full of the new game technology known as Encounters, I thought it was important to write a guide to help you with the massive wilderness adventure area The King’s Forest. This new wilderness adventure area is massive. 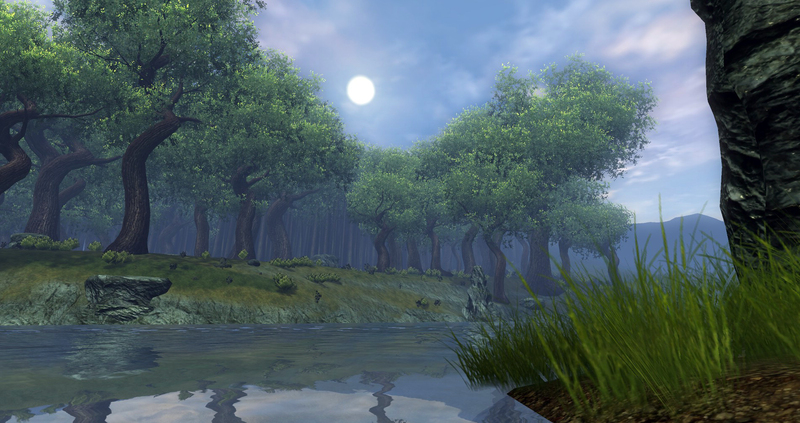 The King’s Forest is much bigger than anything you have seen yet in Dungeons and Dragons Online. You can easily level up here without doing any of the other content. 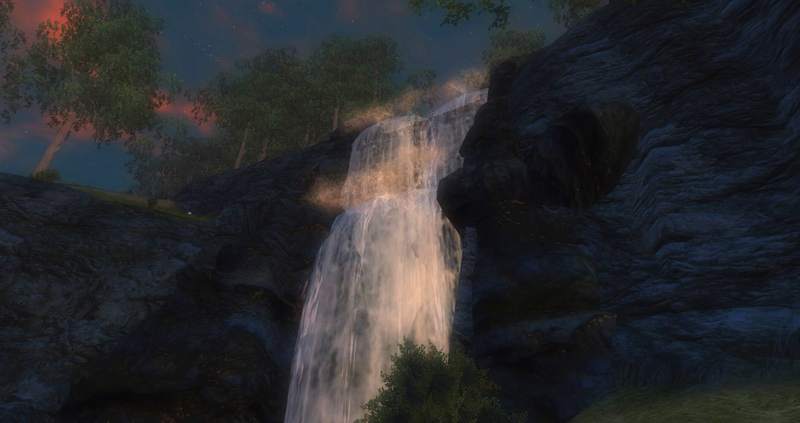 With all of the Encounters, discoveries, and the Slayers, you can and will lose many hours exploring and enjoying this epic wilderness adventure area. First of all, this is an epic wilderness adventure area, so do not be too reckless in your wanderings. Make sure to keep an eye out and be aware that mobs will respawn where you have already been. So do not assume that where you have been is clear. It will NOT be the case. You have been warned. 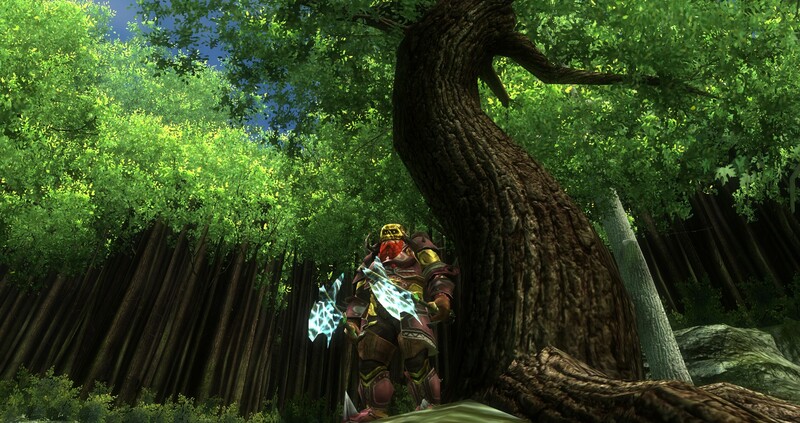 Next, the inhabitants of The King’s Forest seem to have a Dire Bear problem. And trust me, when you run into these ferocious beasts, you will understand why they will be a problem for you. These are easily the most dangerous standard mobs in the Forest. They are tough, but watch for the Dire Bear to rear up on its hind legs. Once it does that, jump away from it or it will stomp you and those around you into adventurer goo. In order to deal with the terribly mean and vicious beasts, the NPC’s of the forest have spread Bear Traps all over The King’s Forest. Watch out for the Bear Traps because they do a little bit of damage if you step in them. They may also trap you, holding you in place. 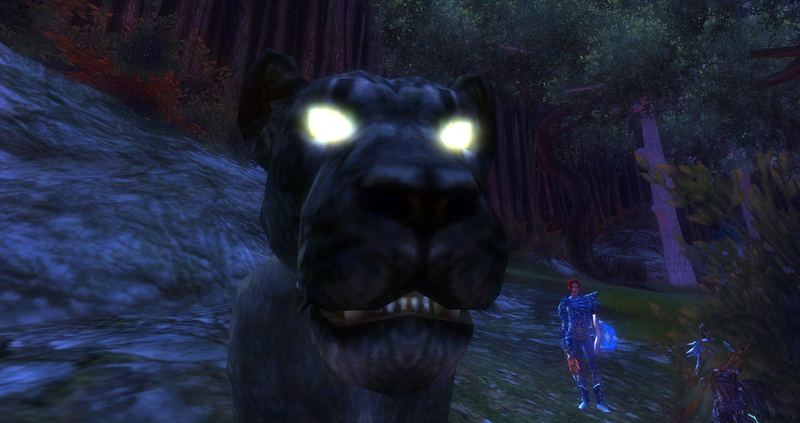 This is not fun when you are running from a pack of angry Dire Bears. The Bear Traps will only annoy the Dire Bears, but they will kill a player character! If you are soloing this area or in a group that likes to go low and slow, there are often Bear Traps around the Dire Bears. Carefully pulling the Bears into and through a bunch of traps can be fun, as long as you yourself are not caught in them. Also make sure to keep a look out for and prepared to have a pit trap open up under you. 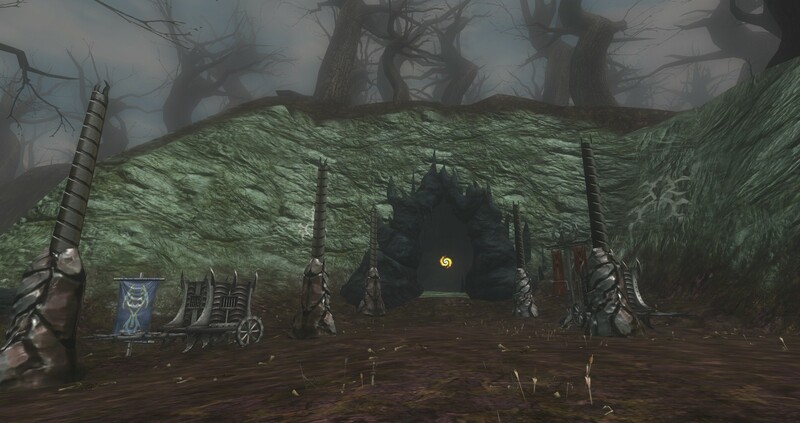 There a are a couple places in The King’s Forest where everything will look fine and then all of the sudden you are falling into a spiked pit trap. Ouch! 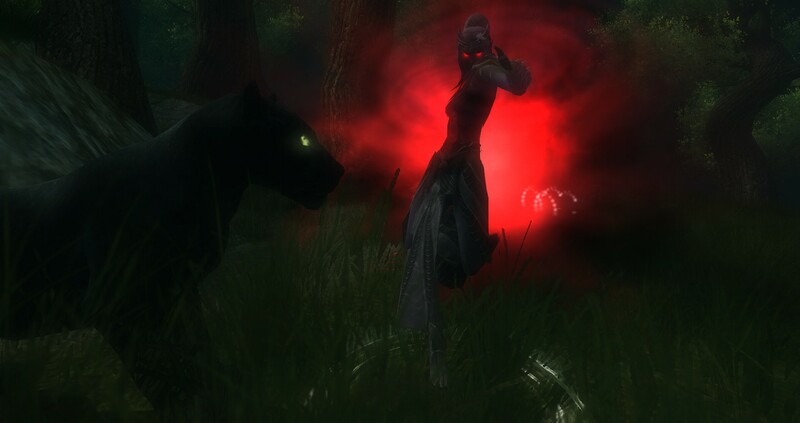 The other main threat to look out for are the Drow. They are out, and they are everywhere. You can get a bit of a hint they are in the area as there will be a darkening affect when you approach them. However, you will likely miss them here and there as they are experts at hiding. 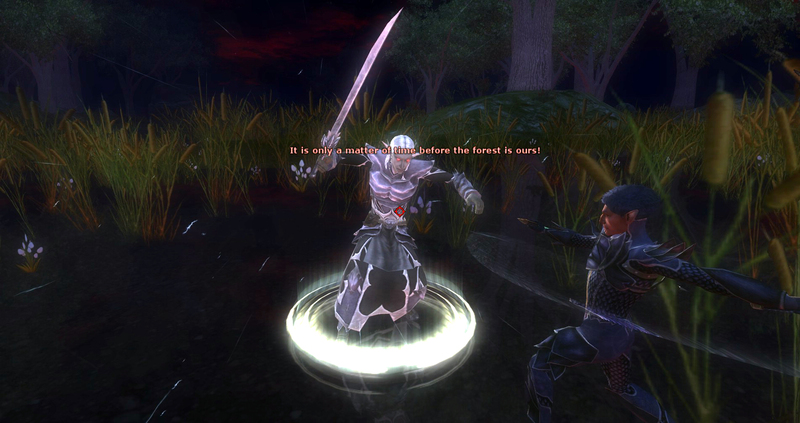 You will encounter two main groups of Drow. The combat group or the standard set of Drow that will have Drow Warriors, Drow Archers and may have some small Swarm Spiders with them. This group is fairly easy to take out as long as it is a fairly small group. The second type of Drow group you will encounter are those that have at least one Drow Necromancer. The Drow Necromancers are not too hard by themselves. However, they have a tendency to take what would seem to be an easy encounter and turn it into a real fight for your life. As the name suggests, Drow Necromancers raise the dead. But unlike previous incarnations of necromancers, these will actually raise any fallen ally as a powerful undead monster! 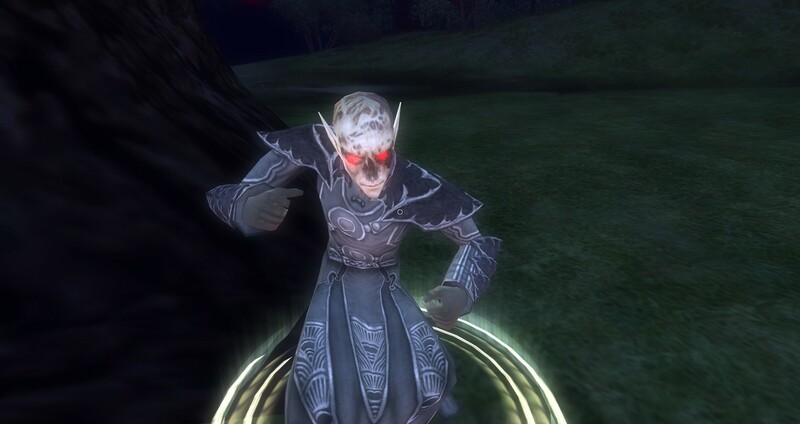 The undead they raise are 2 to 4 times as powerful as the living incarnation. So if there was ever any question about who to attack first, it should now be definitively answered: THE CASTERS! 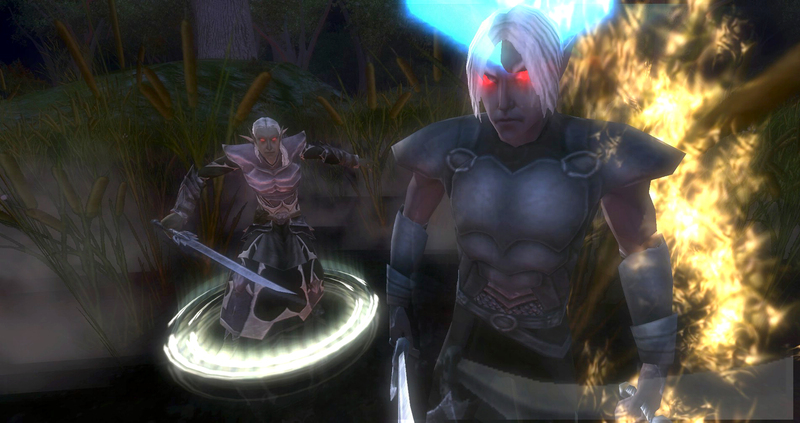 The more dangerous and devious groups have two or more Drow Necromancers. If you can, take them out at the same time or they will raise each other. Rude! 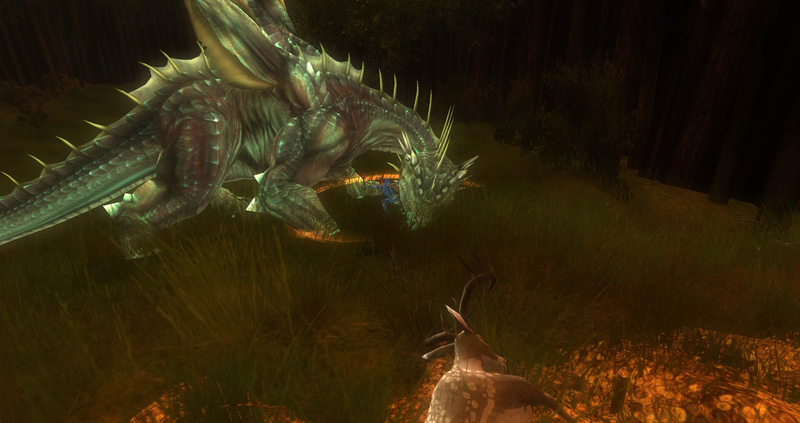 The biggest new change to The King’s Forest is the introductions of real Random Encounters. These encounters fall much closer to the table top version of the same name. 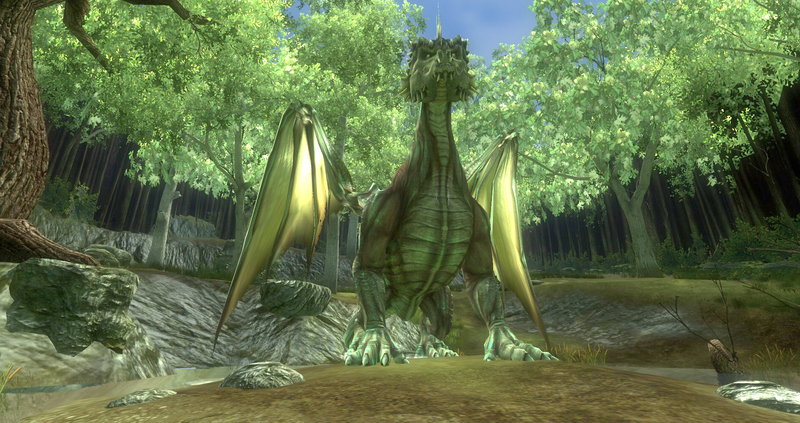 There are certain spots in The King’s Forest that have a chance to spawn a Random Encounter. 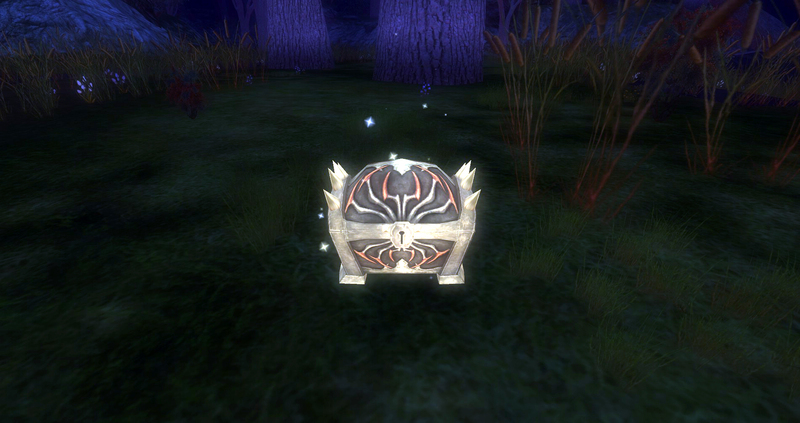 These will be listed in your Quest Journal when they are discovered. 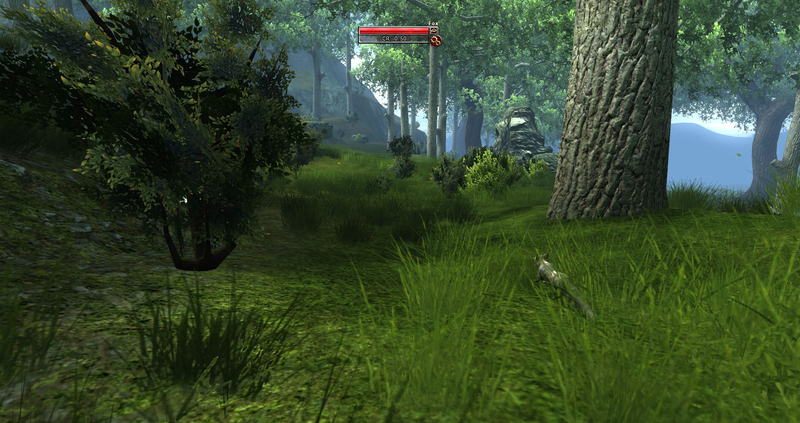 You should also see a Random Encounter node appear somewhere close to you on your wilderness map. 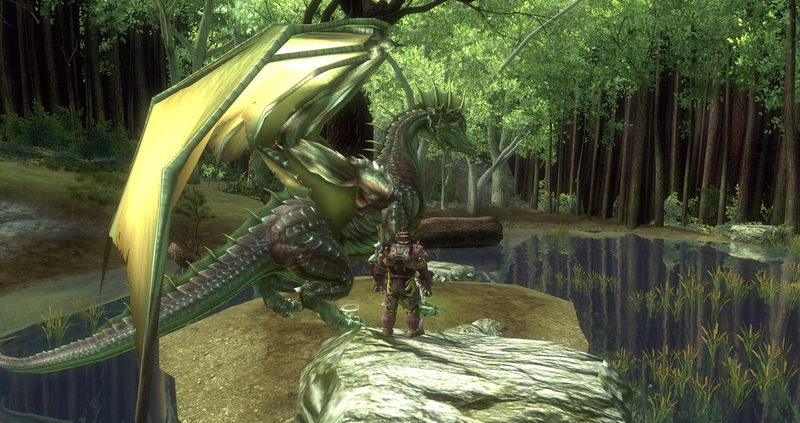 There are many different kinds of Random Encounters, ranging from killing some bad guys, to a skill challenge to rescue Purple Dragon Knights, to making sure you kill only certain creatures and much more. 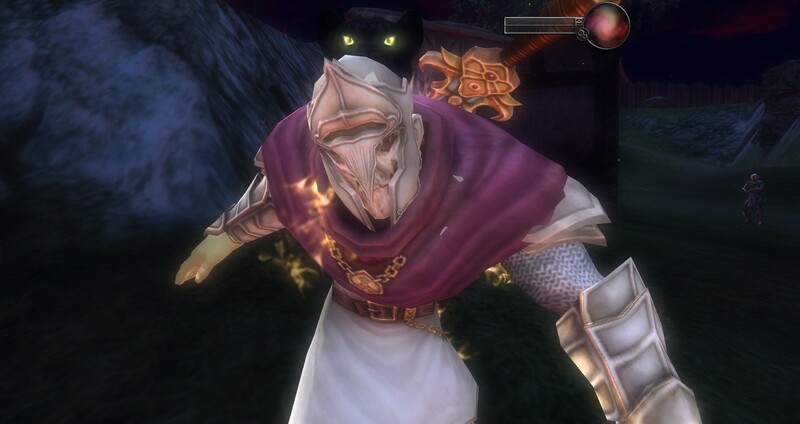 The point is, don’t blindly run into these Random Encounters. Take a moment to read what they say, scoot closer to listen to the conversation or otherwise pay attention to make sure you beat these Random Encounters correctly. This isn’t just so you can get the XP and a check mark in your Quest Journal. 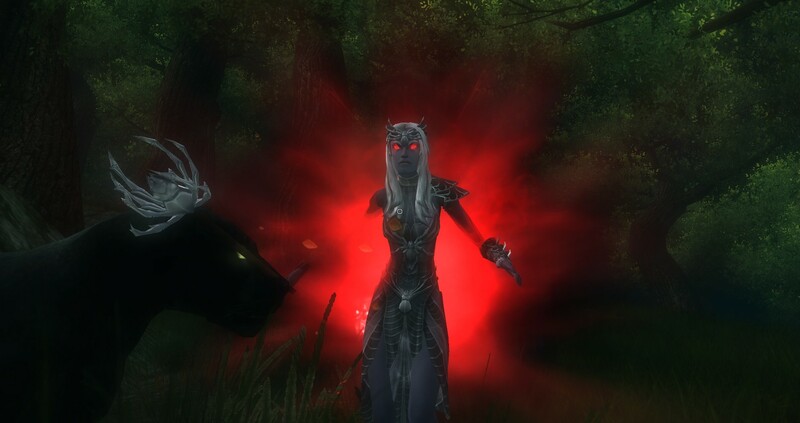 These encounters will also give you commendations that you will need to collect to be able to get some of the Epic level loot that can be acquired through serving those of The Kings Forest. 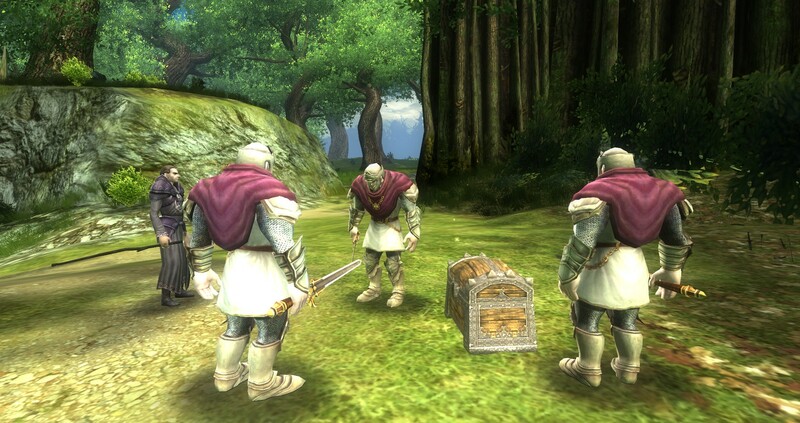 Some of these Random Encounters will have regular loot as well but the chests will not open unless the encounter is completed successfully. 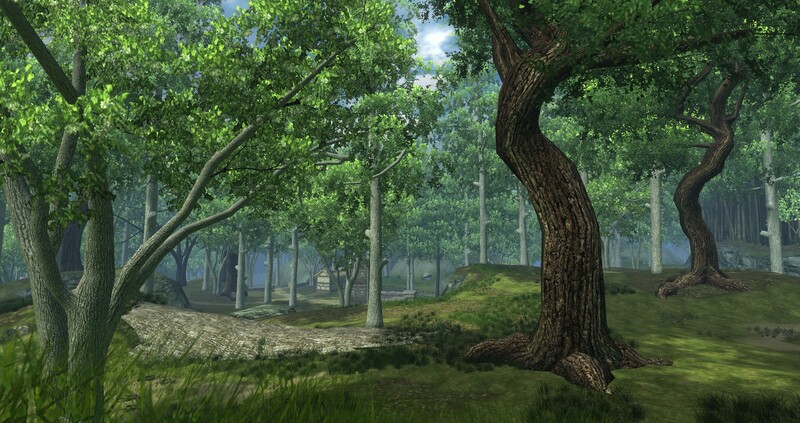 You can check the map of The King’s Forest above for known Random Encounter locations. 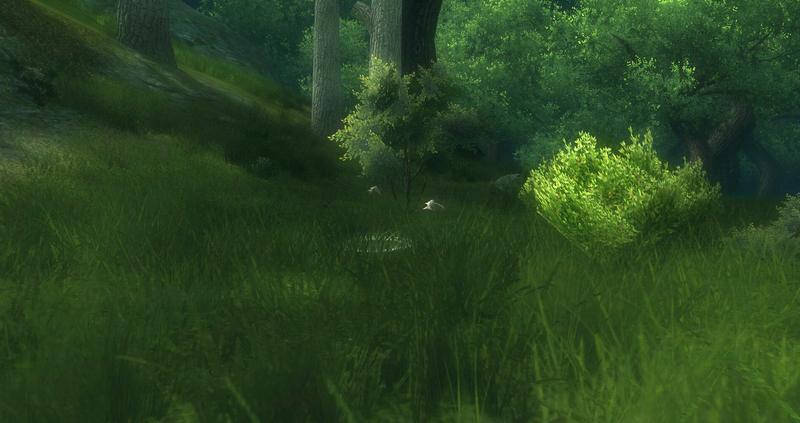 If you find more, let me know and I will get them added to the map of The King’s Forest ASAP. I will also be adding any nodes I find them. This way we should be able to run from one to the next and rock these Random Encounters. You will also soon notice that there are regular, boring, 1/4th CR animals minding their own business in The King’s Forest. At first glance you might think that it is nice of the developers to add these little details for realism. 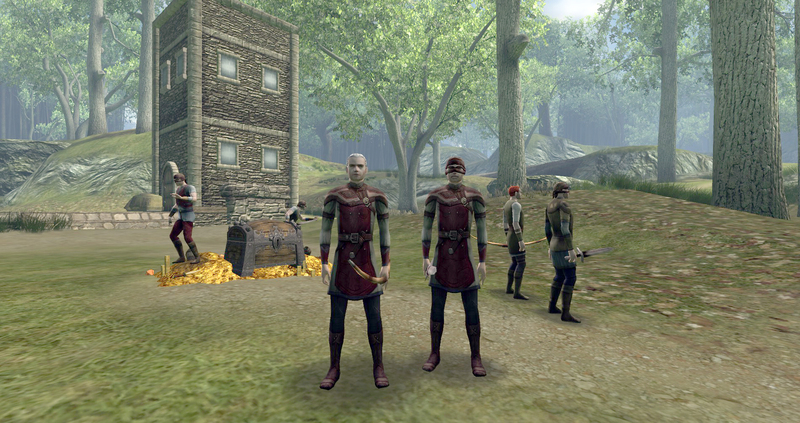 However, the developers of Dungeons and Dragons Online don’t do anything without a reason. These cute forest animals are not an exception. These cute forest animals will not attack you but if you attack them there is a chance you will anger the dryads in the area. If this is the case they will make their presence known and attack you and your party. 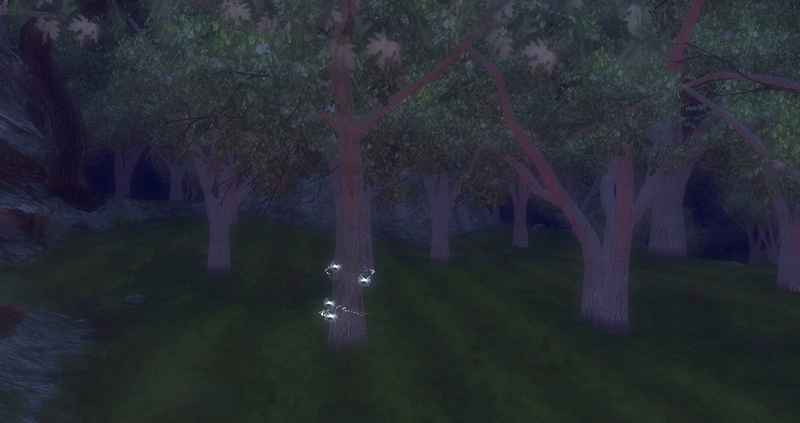 You will need to lure these Dryads out in the open for their own encounters and to obtain some items that will be used in other encounters. 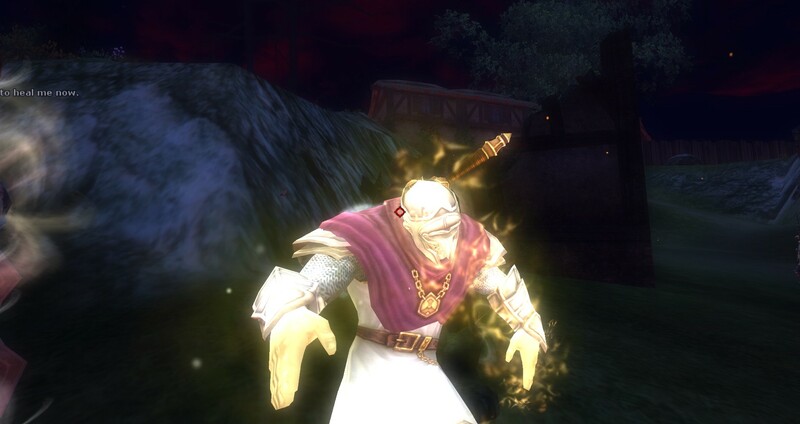 You met the famous and powerful wizard Elminster on your way to Eveningstar in the Forgotten Realms. He seems to be working on the very problem that you helped to create with opening the rift between Eberron and The Forgotten Realms. He has also been busy inside of The King’s Forest and has left you many messages (40) to help unravel the mystery of the Menace of the Underark. 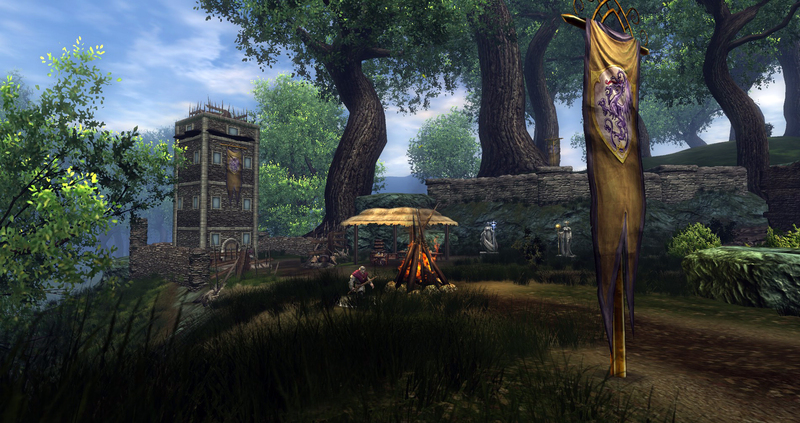 Use the map of The King’s Forest above to locate the Messages from Elminster you may be missing. The King’s Forest is truly massive and in its size is one of the biggest problems with it; how do you get around quickly? First, the roads through the King’s Forest are generally clear of enemies and you should be able to travel fairly quickly using them. 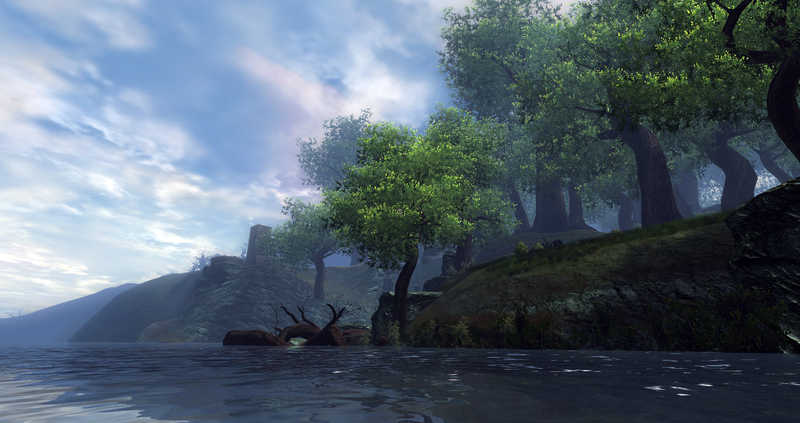 Second, the rivers in the King’s Forest are swift and wide and do not have any aboleths in them… yet. So if you are looking to travel from the west to the east or north to south the rivers are your ticket to a speedy journey. 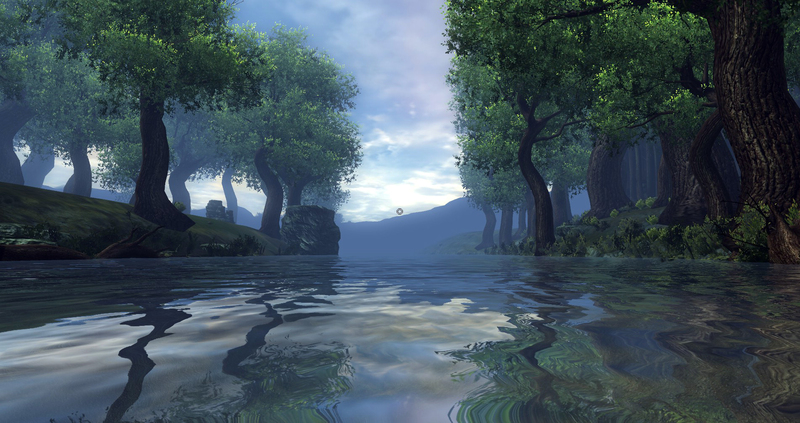 Check the DDM’s Realm map of The Kings Forest above to see which way the currents go to plan you trip. 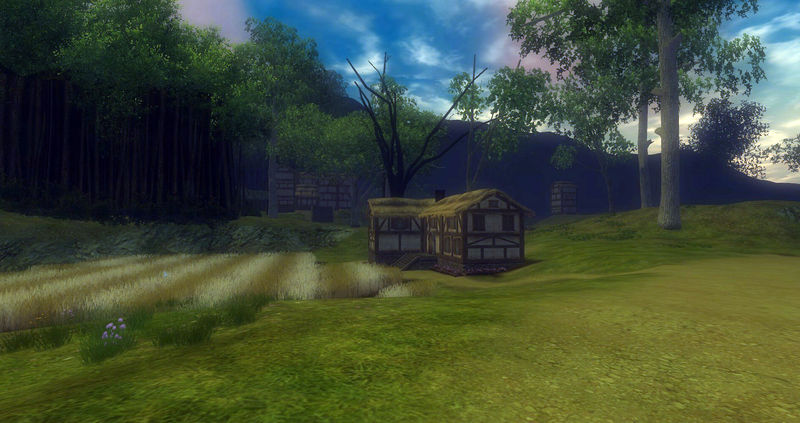 You can actually travel quite far quickly in The King’s Forest if you plan your trip properly. 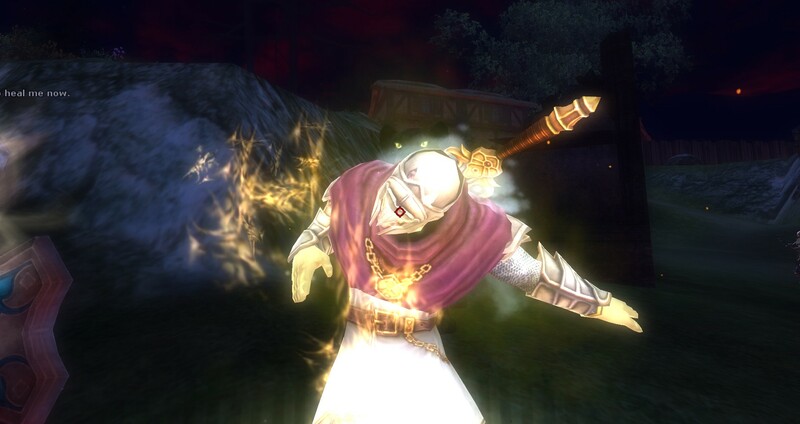 Third, the fastest way to travel would be to find and talk to Milus Sherbon, Transport Wizard, in the Purple Dragon Knight Camp in the south eastern portion of The King’s Forest. 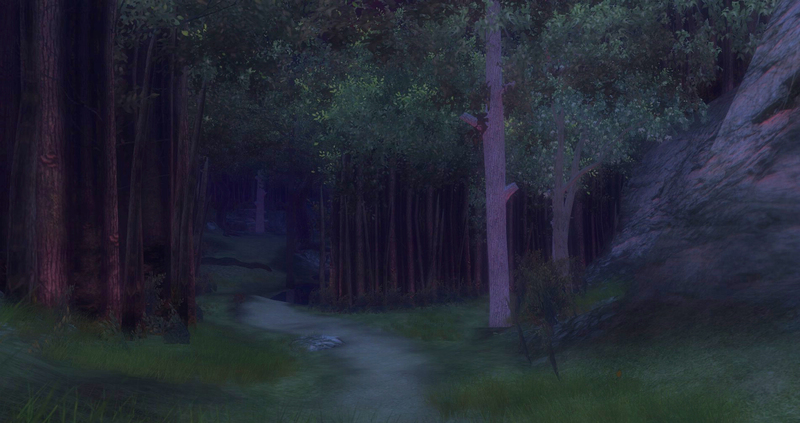 Check the map of The King’s Forest above for the specific location of the Transport Wizard and the Purple Dragon’s Knights outpost. There is tons more to The King’s Forest wilderness and adventure area but these few things should help you get a good grasp on what is happening in this massive and epic wilderness area. 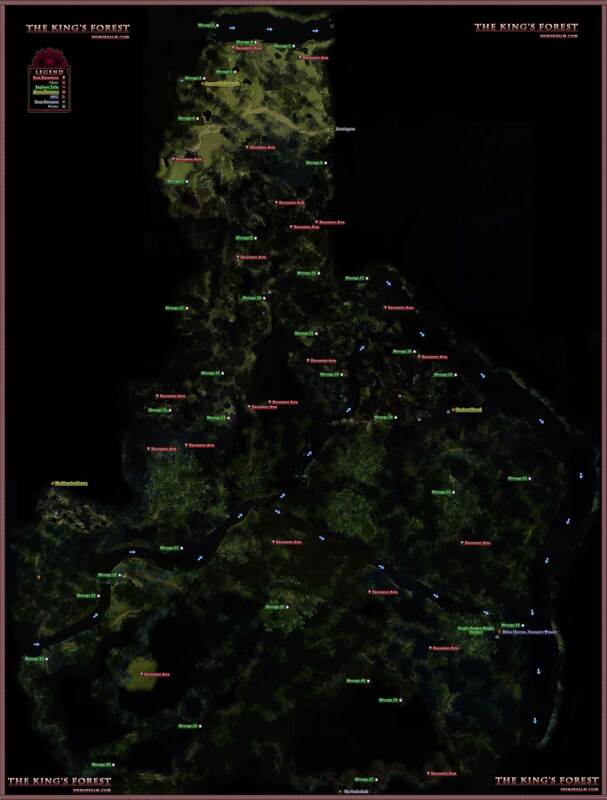 Use the map of the King’s Forest wilderness above to help you navigate and post here or send me a message if you find something that isn’t on the map or see any mistakes that need correcting. 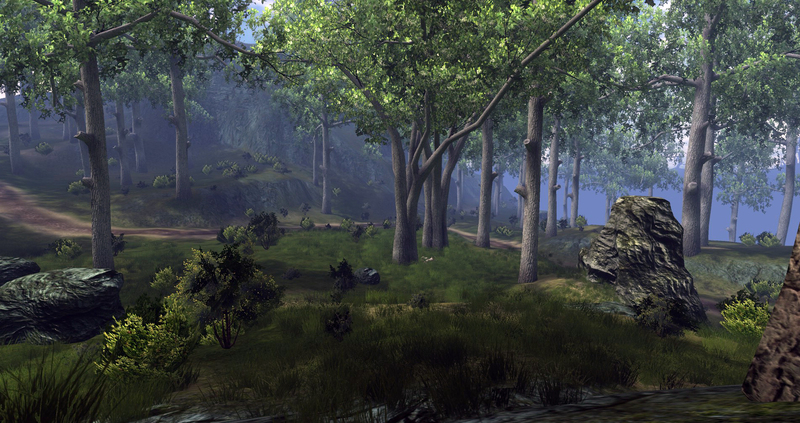 The King’s Forest is truly daunting and creating this map and guide for it has been equally daunting! Thanks Turbine for all your great work on the Menace of the Underdark expansion. 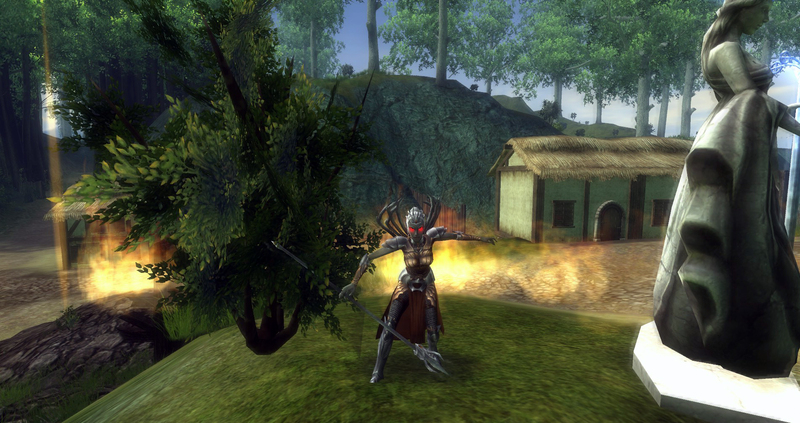 It’s a great addition to Dungeons and Dragons Online and The King’s Forest is fantastic. I anticipate spending many more hours enjoying (and mapping) all of the secrets to be found here. Fixed numbering on Messages from Elminster 15-21 and added some Random Encounter nodes. Thanks Terrivon of Argonessen! I hope to get rest of the Messages in very soon, I just want to verify locations. I will updat the map again soon. Let me know if you see anything else. Everything is verified and updated! Map should be fully complete now. Thanks all! I noticed you were missing “Message 25” on your map. I figured it should be somewhere between 24 and 26 (based on how the area looked) and went looking. Hi. These are the coordinates (using /loc) for message number 31. 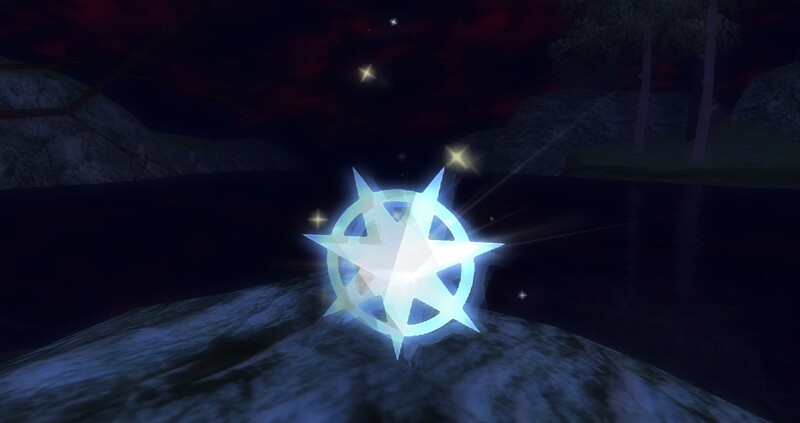 The message is at an intersection between a south-south-eastern course from message 32 and a west-south-western course from the nearby eastern encounter area, on a piece of your map that is unexplored. And these are the coordinates for number 29. This is a bit east of number 30. Thanks all for the help! I have uploaded the final map with all of the Messages from Elminster, Shrines, Quests, Zone Access and more. The map is fully uncovered and has been verified on Live. It is amazing to me that, after reading about 7 of these walkthroughs, nobody ever bothers to tell you how to actually GET to the new content. 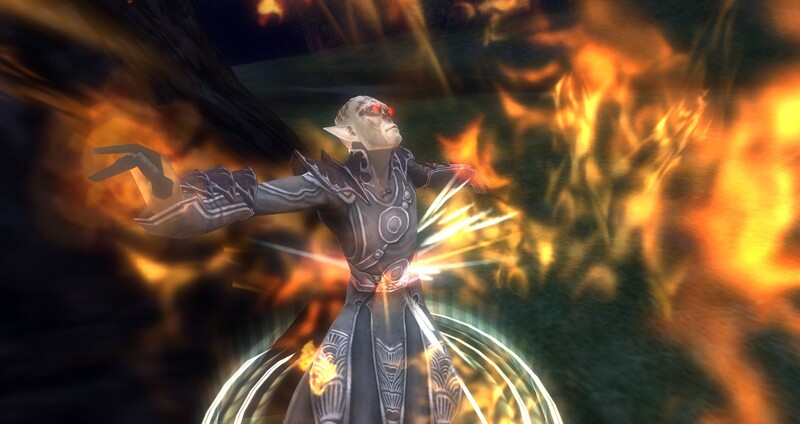 I mention that the King’s Forest is off of Eveningstar. Specifically it is on the eastern side of the village. Just look at your map for two green stars near each other. Those are the zone entrances. One is the gate to the beginning and the other is the wizard that will teleport you to the Purple Dragon Knight outpost. He will only do this if you have spoken to him at the outpost. If you are confused about how to get to Forgotten Realms. You will need complete the Lords of Dust series (level 16). It starts in the warehouse district of the Harbor. Once that is done you will see a crack in wall across from the Waterworks. Go in there, talk to the druids and complete the quest Beyond The Rift. Once that is done you will use that same zone point to travel back and forth. You will not have to do the quest each time. 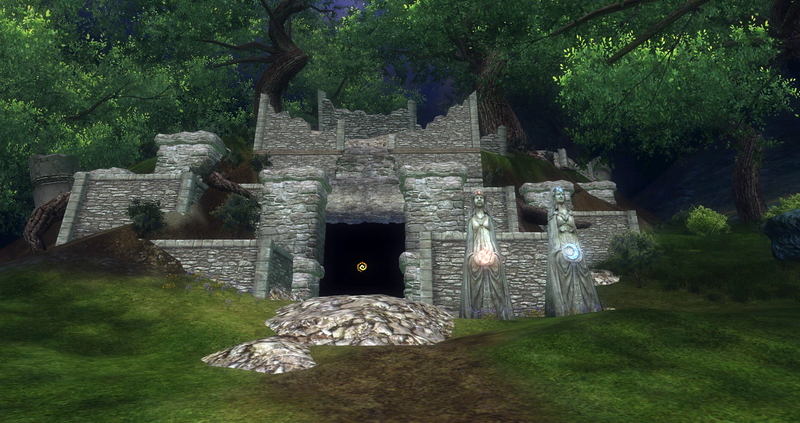 There is a rare encounter area at the shrine that is due west of the entrance to The Lost Thread. Thanks for the heads up. I will get that added ASAP. 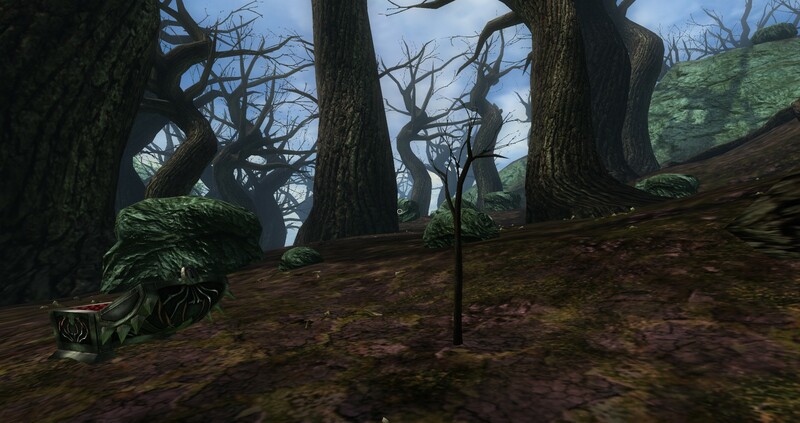 Great work on the forest! There is an encounter “breaching the surface” (kill purple worm) 50 yards southeast of elminster’s msg 39. It gives war wizard commendations. 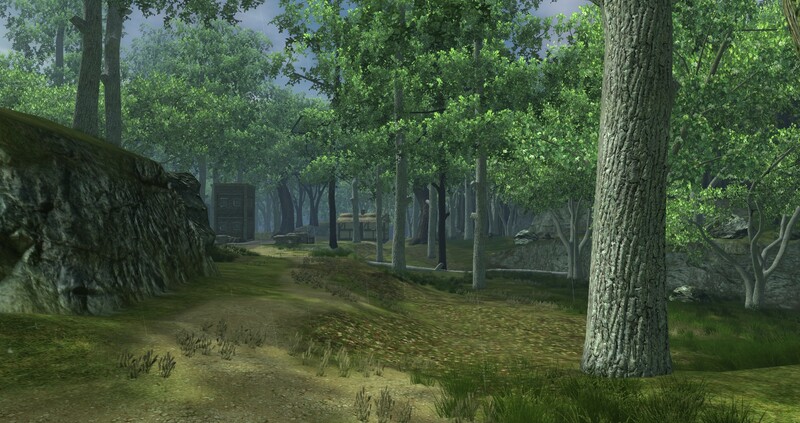 How much have you all ran through here? Collecting all this info I have been through this area quite a few times. So far, I have seen most of the encounter spots spawn different encounters it seems. Does this seem to the be case for you to or are you seeing the same encounters in the exact same place? I started the map by labeling the areas with the exact encounter but soon noticed different encounters spawning in the same spot. Now some seem to be tied to a particular area but multiple encounters were spawning for me from the same encounter node. Been roaming a bit, but not a whole lot I guess. I have noticed the same thing tho, and think of it kinda like orchard – perhaps each encounter has allocated a few different possible spawn points that they also share with other encounters, I don’t know. The worm I’ve killed twice, both at the same spot. The dragon several times, always in the same spot. Good to know. If we can narrow down the areas then I can add that to the map so there are specific areas you can hunt for X encounter or X encounter group. I guess I need to do more testing. Shucks. Another rare update – Bolster the Lines, knights commendations, in between elminster’s messages #37 and #39. Slightly closer to #37, just to the east of the mountain slope that is shaped like an end parenthesis on the map. There is another rare to the south and a little east of Impossible Demands. One to the east of Message 9, too. Great thanks for the info! This should help people hunt down the encounters they are missing. Hey, there are still at least two missing encounters on this map. The image I made turned out smaller than expected, because I don’t even know how to use Paint properly, but the locations should still be clear. If it’s of interest, the encounter on the left is ‘The Shopkeeper’s Salvation’, and the one on the right is ‘The Corrupted Grove’. Hope this helps! 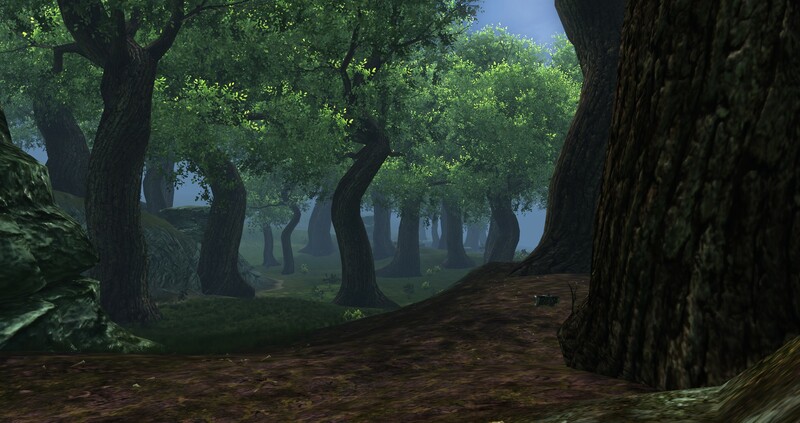 And thank you for making by far the best King’s Forest map on the web (the DDOWiki ones are not nearly as useful). Thanks for the heads up on two more encounter points. So far I have decided to keep them as generic encounter nodes due to the randomness of the encounters that spawn there. Many of these spots I have hit over and over and they usually have a different encounter. I’m trying to discern if there are certain areas where X kind of encounter is. Like villagers are just in the north section or something. However, I have not had enough reliable success with this to put these down on the map yet. Anyway thanks for the info and I am glad these maps are working well for you. It helps to hear it from the players so I can stay motivated to keep working on them. They aren’t something I can slap together in a few minutes… hehe! 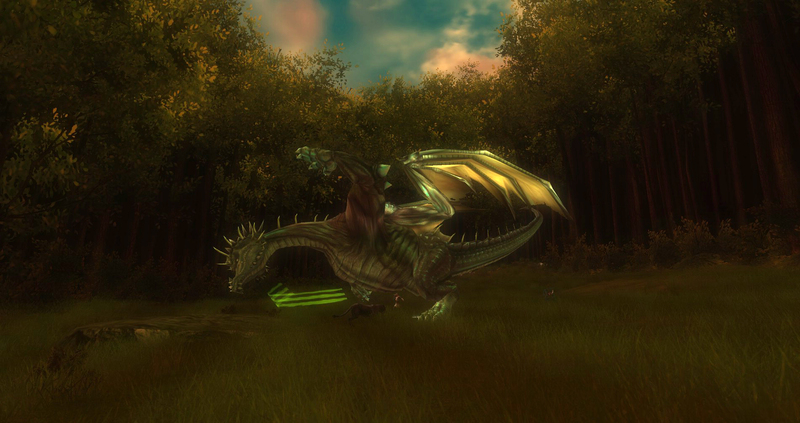 On that note, what’s the typical spawn area of the Green Dragon..? I have run into the dragon near Message 12 on the west side and at the encounter point east of message 31 in the wide open area. You need to approach this one from the west adn climb to the top of the mountain. Found a rare West of Impossible Demands at the shrine.